The year was 1934, James H. Weinheimer an oil company chemist was working part time at family owned, Make-NU Carpet Works operated by his sister Winifred and her husband Jack. 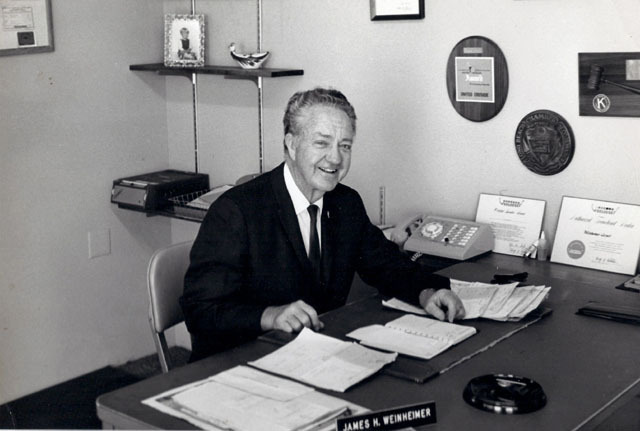 In 1937, Jack died in a tragic auto accident and James continued to help his sister run the business. Shortly thereafter he started Weinheimer Rug and Carpet Works. The company rapidly expanded from an installation workroom, adding in-plant and on-site cleaning services. Later expanding to contract and retail floor covering and interiors division. Products and services ranged from carpet to resilient and hardwood floors to a full-service work floor covering work room, cleaning services, drapery and reupholster services. From childhood, Terry worked with the various divisions and in 1970 he started his own flooring and design center company. While in school Kevin started working for the family business and later joined it full time. In 1990 Terry moved the family to Oregon where he and Kevin started The Weinheimer Group a floor covering inspection & consulting company helping both the flooring industry and the consumer. In 2019 the Weinheimer family celebrated 85 years in the floor covering industry. Today, the company offers on site testing and inspection service for carpet, laminate, hardwood, engineered floors, luxury vinyl flooring, laminate and other flooring products. Our specialty is in analyzing and solving problems related to flooring installation, maintenance and floor covering products. Home based in Eugene, Oregon with satellite offices in Portland, Oregon and Tacoma, Washington, the company provides hardwood, luxury vinyl, bamboo, carpet and laminate inspection services in Oregon and Washington. 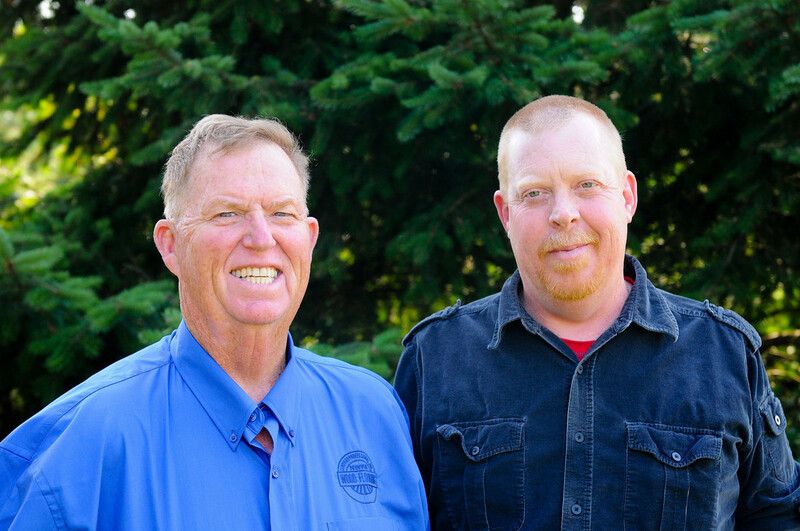 Terry and Kevin are nationally known floor covering inspectors and not only provide their services throughout much of Oregon and Washington, they are available for nationwide service upon request.